The Kunsthaus in Zurich published the catalogue of its collections in the form of two complementary works late in 2007 and early 2008 for its different translations : the complete catalogue of paintings and sculptures and in another volume a beautiful book which assembles the museum’s masterpieces. Works including entire collections, an indispensable tool for researchers, are a rarity for museums due to their high cost. We thus commend this initiative from one of Switzerland’s most important museums . Along with the Kunstmuseum in Basel and the Musee d’art et d’histoire in Geneva, the Kuntshaus Zurich does indeed rank among the major fine arts museums in Switzerland in the field of old masters . Both of these catalogues, by Christian Klemm, vice-director and curator (also by Franziska Lentzsch and Gian Casper Bott for the exhaustive catalogue) were long awaited. Let us point out that the works at the Kunsthaus will soon be able to spread out into additional rooms as the museum has recently launched an architectural contest for a new annex which will house contemporary art works, as well as the very beautiful collection from the Fondation E.G. Burhle. This Zurich collection, bearing the name of the industrialist and patron of the Kuntshaus’ first annex, was recently in the headlines after the theft of four Impressionist canvases . 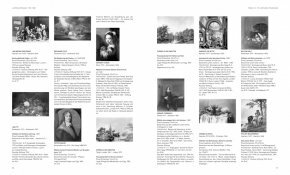 The complete catalogue offers a comprehensive view of the different schools and reveals works which were rarely seen hanging in the rooms until now. Thus, Italy is well represented with first-rate masters such as Fra Angelico, El Greco (a Portrait of Charles de Guise, Cardinal de Lorraine, 1572, is attributed to him), Annibale Carraci and Bernardo Bellotto (three canvases including a replica from 1765 of The Kreuzkirche in Dresden in Ruins held in Dresden), but also less famous painters such as Francesco Napoletano, a student of Leonardo da Vinci who was strongly influenced by the master, Bartolomeo Montagna (ill. 1), as well as the Neapolitans Mattia Preti and Francesco Francanzano. The Northern schools offer a very beautiful selection in the Zurich collections, notably thanks to the extensive deposit by the foundation of the Swiss chemist and native of Croatia, Leopold Ruzicka. The 15th and 16th centuries are represented by Hans Memling, Lucas Cranach and Joos van Cleve (Lucretia’s Suicide, 1515/1518, still very Gothic in its ornamentation). 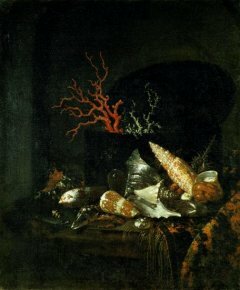 Among the 17th century Dutch works are paintings by Abraham Bloemaert, Peter Paul Rubens, Frans Hals as well as Rembrandt, Jacob van Ruisdael (with a very beautiful View of Haarlem, around 1670/1675) along with a beautiful group of still-lifes (Franz Snyders, Balthasar van der Ast, Pieter Claesz, Willem Kalf, etc. ill. 2). Let us point out that in the last few years the Kuntshaus has highlighted its Dutch collections with exhibitions devoted to artists in the museum such as Pieter Claesz (2005) and his son Nicolaes Berchem (2007, see the review in French on La Tribune de l’Art). The French school is uneven in quality : although several major works of the 17th century are in Zurich, such as Venus Asleep Surprised by the Satyrs by Nicolas Poussin (around 1625) and two paintings by Claude Lorrain (Pastoral with the Arch of Constantine, 1648 and the Dance of the Seasons, 1662 ) which were recently donated, the Age of Enlightenment is practically nonexistent (we should however point out two portraits by Hyacinthe Rigaud). The French 19th century, on the other hand is one of the strong points of the collections. There are few Neo-Classical works (except for example the Profile of a Bearded Man by Jean-Auguste-Dominique Ingres, 1807/1808), but Romanticism is evoked by paintings by Theodore Gericault (an imposing Blacksmith, 1813/1814) and Eugene Delacroix, Realism is represented with works by Gustave Courbet (let us remember that he spent the last part of his life in Switzerland, in La Tour-de-Peilz), and Impressionism with a very beautiful group of works by Edgar Degas, Edouard Manet, Claude Monet (including two large canvases from the Water Lilies series, ill. 3) and Vincent van Gogh. The Modernist current from the end of the century can be seen in works by Paul Cezanne, Henri Matisse, Henry van de Velde, Paul Gauguin, with particular attention paid to the Nabis artists Edouard Vuillard (an imposing Large Interior with Six Figures, 1897), Pierre Bonnard and Felix Vallotton, the latter being a native of Lausanne. In sculpture, there is a beautiful ensemble of ten statues by Auguste Rodin, as well as a monumental bronze version of the famous Gates of Hell (1880-1890). As expected, the Swiss school is particularly rich. Although Hans Holbein the Younger, who worked for many years in the nearby city of Basel is unfortunately not represented, Helvetian Renaissance portraits are evoked by Hans Asper and Tobias Stimmer (an undated Self-portrait is attributed to him here). Among the most important groups of paintings, there are the twenty-one canvases by Heinrich Fussli, a native of Zurich (ill. 4), twenty paintings by Felix Vallotton, thirty-eight works by Cuno Amiet plus seven canvases which form a mural decorating the loggia in the Kunsthaus and, finally, an impressive set of ninety-one paintings by Ferdinand Hodler (ill. 5) which cover the different genres and periods of this Swiss national painter from the late 19th and early 20th century. Returning to the publication itself, the complete catalogue groups works in sections that are both chronological and by school (ill. 6). This pleasant classification, assembles the works in a natural way and encourages new connections, unlike a strictly alphabetical or chronological listing. Paintings and sculptures are all illustrated with small black and white images of fine quality allowing the reader to have a very good idea of the works. Documentation is provided by the provenances (at times skimmed over ) and the bibliography, as well as explanations touching notably on iconography, creative conditions and the status of the painting or sculpture. These entries, although brief, are very useful and offer a good basis for the study of the works at the Kunsthaus. Nonetheless, it would be highly profitable if the museum could complete this invaluable work by publishing its collections on its internet website. A search engine would indeed allow users to find information and the reproduction of a work more quickly than a book. As for the volume devoted to the museum’s masterpieces, although it is meant for a wider reading audience than the complete catalogue, it is nevertheless a very useful complement. With rich colour illustrations, often full page, it presents the major works and showcases the collection’s strong points in chronological order. The chapters at times mix the schools and place works which in fact do not hang next to each other in the galleries on facing pages, thus encouraging new comparisons. Christian Klemm’s text presents the collection by recounting the historical background of the Societe des arts de Zurich (the museum owner) and with brief introductory paragraphs to each chapter. The works themselves are accompanied by short entries which, when put together, constitute a survey of European art history. Christian Klemm, Franziska Lentzsch, Gian Casper Bott and al., Kunsthaus Zürich. 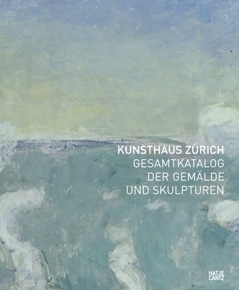 Gesamtkatalog der Gemälde und Skulpturen, Zurich, Zürcher Kunstgesellschaft. Ostfildern, Hatje Cantz Verlag, 2007, 740 p., CHF 148 (at the Museum bookshop), CHF 172 (bookshop). ISBN 978-3-7757-1143-2. Christian Klemm (translation : Fiona Elliott), Kunsthaus Zürich. The Masterpieces, Zurich, Zürcher Kunstgesellschaft, 2007, 332 p., CHF 58 (at the Museum bookshop), CHF 69 (bookshop). ISBN : 978-3-7757-1145-6. A fairly large number of Swiss museums have published a complete catalogue of their collections : Aargauer Kunsthaus Aarau, Bündner Kunstmuseum Chur, Fondation de l’Hermitage Lausanne, Kunstmuseum Bern, Kunstmuseum Luzern, Kunstmuseum Solothurn, Kunstmuseum Sankt-Gallen, Musée des beaux-arts de La Chaux-de-Fonds, Museum zu Allerheiligen Schaffhausen, Sammlung Oskar Reinhart « Am Römerholz » Winterthur, Stiftung Oskar Reinhart « am Stadtgarten » Winterthur. 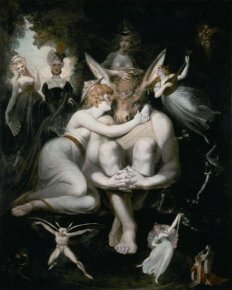 Although the Musee d’art et d’histoire de Geneve has not published a complete catalogue of its collections it is very active in enhancing its holdings through a series of exhibitions and catalogues devoted to the different schools and the major artists present in its collections. We would like to mention the most recent catalogues : La naissance des genres : la peinture des anciens Pays-Bas (avant 1620) at the Musée d’art et d’histoire de Genève (2005-2006), Ferdinand Hodler et Genève : collection du Musée d’art et d’histoire (2005), Félix Vallotton dans les collections des Musées d’art et d’histoire Genève (2004), Jean-Etienne Liotard 1702-1789 dans les collections des Musées d’art et d’histoire de Genève (2002). 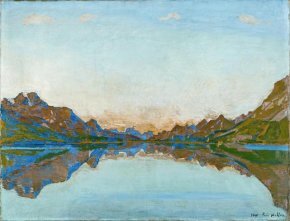 As for the Kunstmuseum in Basel, it publishes on a regular basis and in an exhaustive manner the catalogues of the collections hanging in the museum such as the “Im Obersteg” collection (2004) devoted to modern classical painters (Pablo Picasso, Marc Chagall, Alexej von Jawlensky, Chaim Soutine, etc.) 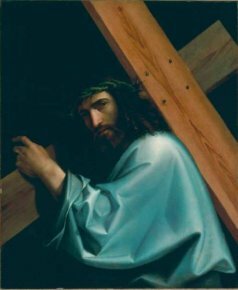 as well as the Max Goldner collection composed of 17th century Dutch paintings (Gerard David, Frans Jansz. Post, Jan Steen, Rembrandt van Rijn) and Swiss Modernist painters (Ferdinand Hodler, Cuno Amiet, Albert Welti, Edouard Vollet). Let us again underscore the active policies of the Institut Suisse pour l’etude de l’art, Zurich and Lausanne (Schweizerisches Institut fur Kustswissenschaft) which specializes notably in publishing dictionaries on Swiss painters and museum catalogues. It is behind a great number of the museum catalogues mentioned above and co-publishes, in collaboration with the Fondation BNP Paribas Suisse, an important series of works devoted to Swiss museums and their collections. We will not comment here on the contemporary art as it does not fall under the scope of The Art Tribune. Until now only the works by Claude Monet and Vincent van Gogh have been recovered whereas the ones by Edgar Degas and Paul Cezanne (the famous Boy in the Red Vest) remain at large (see news items of 17/2/08 and 22/2/08). Offered by Holenia Trust in memory of Joseph H. Hirscham in 1996 and 2004, respectively. For example, the historical entry of The Holy Family by Rubens (around 1628) does not mention the Parisian auction of Jean-Baptiste-Pierre Lebrun on 6 December 1800 in which the painting appears as number 37.